With midterm elections just around the corner, the airwaves are dominated by campaign ads telling you why you should vote for a particular candidate—or in many cases, why you should NOT vote for his or her opponent. NSBA is here to help. Below, you can download a variety of resources designed to help you navigate the upcoming elections and engage with lawmakers during the August recess. We have designed a nonpartisan poster about voting to display at your workplace. 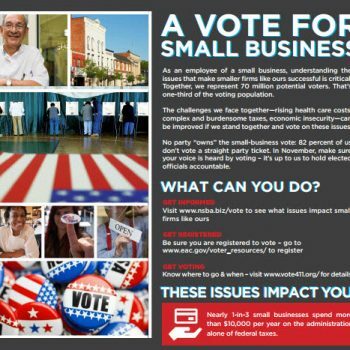 Download this poster to help explain to employees the importance of voting, and why voting on small-business issues matters. What Can You Say to Employees? 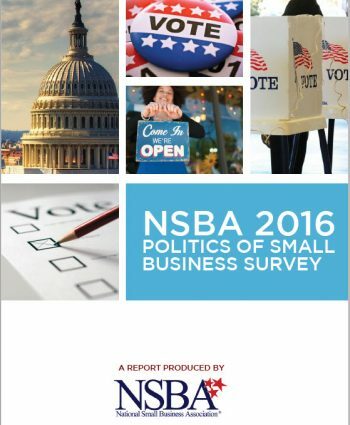 NSBA has consulted with leading employment attorneys and asked them to identify what you, a small-business owner, can and cannot say to employees about voting. This guide will help you talk to your employees and ensure you don’t cross any lines. See where you stand in relation to your cohorts in America’s small business community. 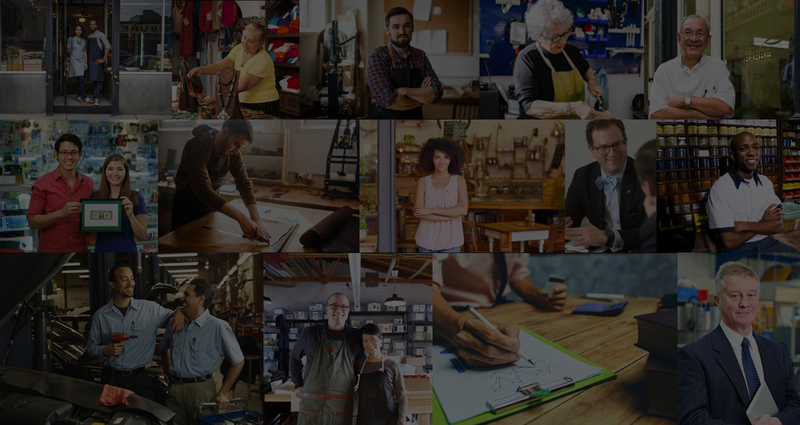 This survey has a wealth of information, and routinely finds small-business owners are independent-minded, politically engaged and split relatively evenly among Republicans, Democrats and Independents. NSBA’s Leadership Council is a group of highly engaged small-business leaders from across the country. With nearly 500 members in every state across the U.S., this is our go-to group when we need to activate on grass-roots campaigns. Leadership Council members’ close contact with lawmakers and business organizations in their local communities make them a particularly powerful group of activists. Consider joining the Leadership Council and get the inside scoop on all things small business inside the D.C. Beltway.